Everyone knows that unclean water is unsafe to drink, and can make you sick. But few know exactly what can be living in that murky water, and what it can do to the human body. Here is a look at the top five diseases you can get directly from drinking contaminated water; and the organisms and chemicals that cause them. In the US, diarrhea is thought of as something everyone gets once in a while, and recovers from within a short time period. The main concern is temporary discomfort, perhaps a day of missed school or work. In contrast, diarrhea is the second leading cause of death for children under five worldwide, according to the World Health Organization (WHO). Most of these cases of diarrhea occur in the developing world (see map). The main way people get infected is through drinking or coming in contact with feces-contaminated water. Feces in water is a problem because one gram of it can contain 10,000,000 viruses; 1,000,000, bacteria; 1,000 parasite cysts; and 100 parasite eggs. That’s a lot of things that can make you sick. The solution, however, is much less complicated. The number one way to prevent diarrheal disease is by access to safe water. Not only does this prevent direct infection by drinking, but it also prevents infection that could occur when gathering the dirty water for other uses. 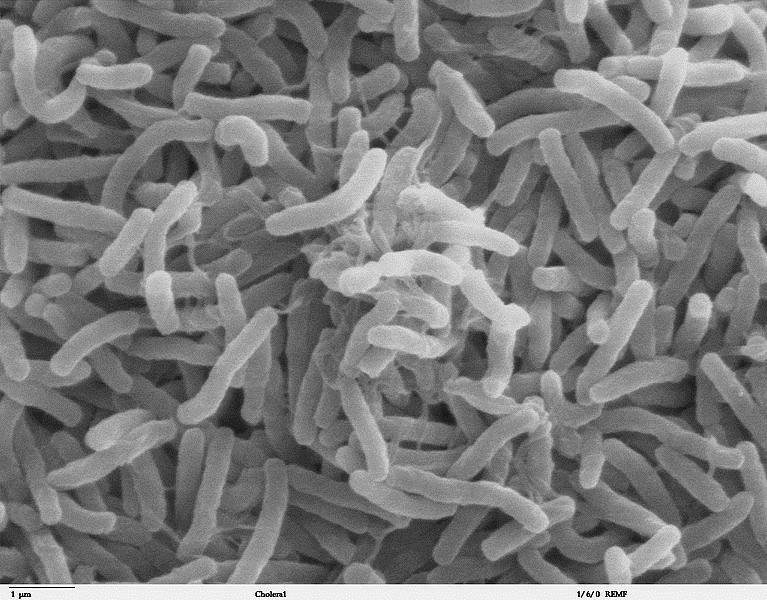 Similar to diarrhea, cholera is also commonly caused by ingesting water contaminated with the cholera bacteria, or food that has been in contact with that water. The bacteria then causes an infection in the intestines. One of the symptoms of cholera is diarrhea; others include nausea/vomiting, and dehydration caused by both of the former. If untreated, it can be fatal. Over ten million cases of cholera occur each year just in children under the age of five, nearly all in developing countries. It can be prevented by access to clean water. This disease, also called Dracunculiasis, is caused by drinking water in which there are Guinea Worm larvae. These larvae grow inside the human body, up to one meter in length. After a year, the worms leave the body. How? A blister forms, usually on the lower leg of the infected person, and the worm(s) emerge, an incredibly painful process. It is also painstakingly slow. Once the worm starts to emerge, it must be pulled out, a few inches a day, until it is removed. It must be done slowly, because if the worm breaks, a toxic substance is released into the body that can lead to anaphylactic shock. Unless this occurs, Guinea Worm Disease will not be deadly, just painful and debilitating. There is currently a large international initiative to eradicate this disease, but tens of thousands of cases still occur each year. The easiest way to prevent this disease is with clean, safe drinking water. Caused by the bacteria Salmonella Typhi, typhoid (sometimes called typhoid fever) is contracted by drinking contaminated water or eating contaminated food. Since the disease does not affect animals, it is passed only when feces or urine from an infected person comes into contact with drinking water or food. For this reason it is essential to wash hands and food thoroughly when there may be any risk of transferring the infection. It is also recommended to boil water before drinking, and peel fruits and vegetables to reduce risk of contracting the disease. Typhoid causes those infected to develop very high fevers, rashes, stomach pains and headaches. It will also affect the liver and spleen, and cause a loss of appetite. It can also be particularly dangerous because it is possible for people to ‘carry’ the disease without showing any symptoms; but they are still able to transmit it to others. Typhoid affects approximately 12 million people each year, and can be prevented by vaccination or simply by access to safe water and good hygiene. Although not the same disease, arsenicosis and fluorosis have a similar cause; naturally-occurring high levels of the chemical (arsenic and fluoride, respectively) present in the groundwater. Drinking arsenic-contaminated water can cause skin lesions, as well as cancer of the skin, lungs, bladder, and kidneys. Excess fluoride in water can cause fluorosis, a painful disease that damages bones and joints. Both of these diseases affect millions of people around the world, and can be prevented by access to safe drinking water. ‹ Sustainability. What’s Your Policy?